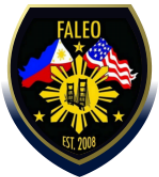 ​In April of 1999, Officers Randy Caturay and Rey Ibay of the San Francisco Police Department (SFPD) conceived the idea of establishing an exchange training program with the Philippine National Police (PNP). They were joined by SFPD sergeants Eric Quema, Cliff Java and Officers Dominic Yin and Harry Soulette. The Department had already conducted visits with other international law enforcement agencies in the past that included Japan, Russia and Amsterdam. However these visits consisted of semi formal courtesy calls or observing specific enforcement activities and completing a short written report upon their return. The six members of the Department were concerned with why no one had yet initiated any such contact with the Philippines. The San Francisco Bay Area is home to the largest Filipino population outside the Philippines, as well as being a bilingual English speaking country. Additionally, San Francisco enjoys a sister-city relationship with Manila. These facts presented an excellent opportunity to foster goodwill and go a step further by establishing an actual training program with the Philippine National Police . 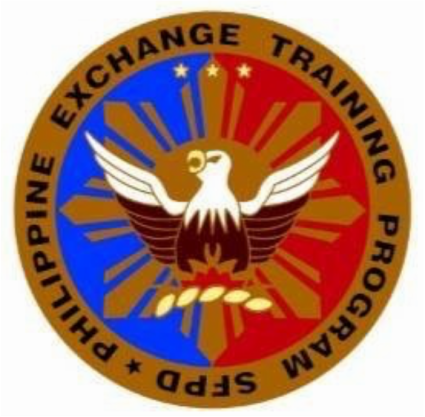 The six officers formed the Philippine Exchange Training (P.E.T.) Team, and began the groundwork to build a bridge between the SFPD and the PNP. Their efforts became a reality in the year 2000. Shortly thereafter, the SFPD entered into a formal Memorandum of Agreement with the PNP/PPSC. It has grown to be a comprehensive exchange training program that has now reached out and included presentations to key business groups, neighborhood-based force multipliers, schools and even to the Philippine Hall of Congress. Over ten thousand men, women and children have been impacted. Over a hundred thousand dollars in goods and materials have been donated or expended during the course of this program. Completely self-funded by team members, they collect, solicit, purchase and deliver boxes of material donations to police stations, schools and neighborhood groups. The primary mission of the P.E.T. team is to present, discuss and share best practices and current trends in policing with members of the PNP; in the hopes of better serving our respective communities. Outreach to business, community groups, senior citizens and youths complete the circle of true community policing. In the year 2010, the SFPD-PET Program included its first members from outside Law Enforcement agencies: The BART Police Department, California Dept of Justice/Bureau of Narcotic Enforcement and the San Francisco District Attorney’s Investigation Bureau.  In the same year, the Filipino Law Enforcement Officers Association (FALEO) under President Glenn Sylvester and Vice President Rich Alves chose to adopt and support the SFPD-PET Program under the auspices of Training and Education. In 2011, Director Theresa Mostasisa RN, BSN PHN, EdD, the first civilian instructor specializing in basic Life Support joined the team. In the following years, the SFPD-PET program has welcomed representatives from the LAPD, Salinas PD, SF Sheriff’s Dept, Pacifica PD Capitola PD, and SF State University PD. The combined team of law enforcers, spend a year creating presentations consisting of lectures, power point, interactive demos; meeting on their own time, and personally buying and collecting new or useable second hand items to donate. The SFPD-P.E.T. program is a goodwill mission and a 100 % volunteer project. It is sustained by each Team member’s personal funds and personal time. Each year becomes increasingly difficult as the program faces various obstacles and challenges. For those law enforcers that participate in this project, it is about dedication, compassion and a sense of duty. To this date it is the only law enforcement program of its kind in the Nation.